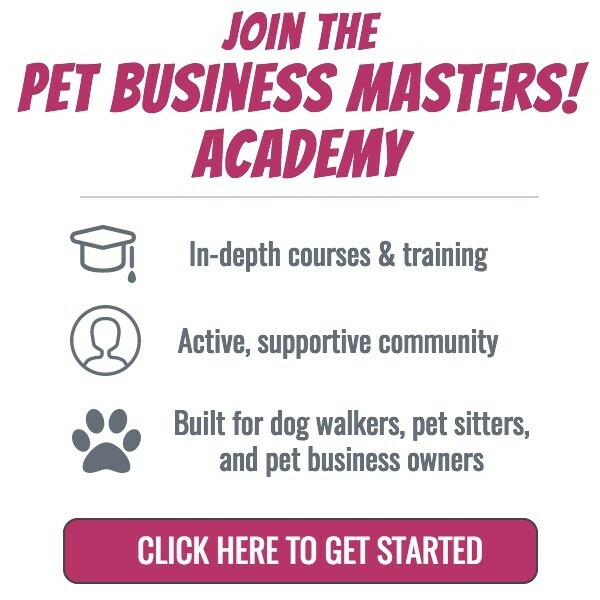 How To Handle Tips & Gifts From Dog Walking & Pet Sitting Clients - Pet Business Masters! 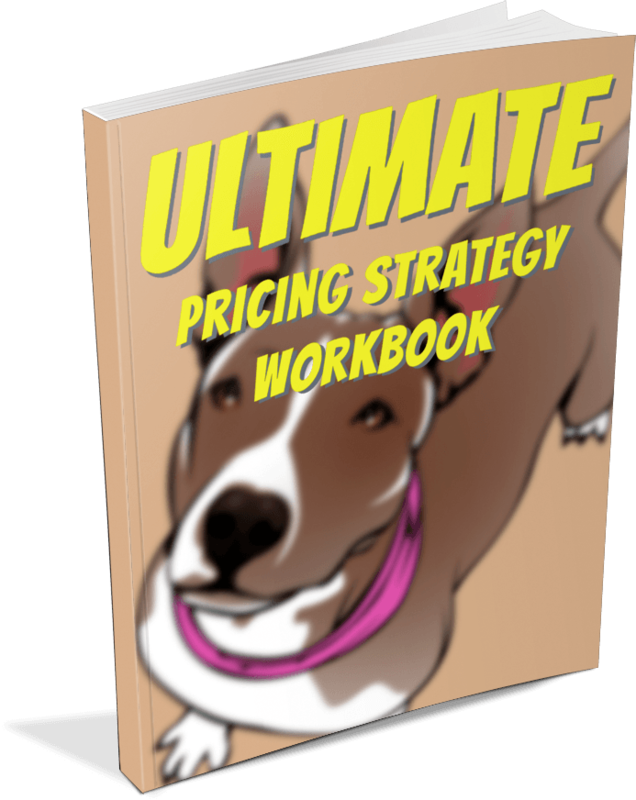 If you're a one-person business​, then this isn't too hard. As a solo operator, any tips and gifts go directly to you for your own benefit. Woo hoo! Although it may be courteous to politely turn down any extra compensation, ​if a client provides a tip/gift to you, accept it and acknowledge it. No one leaves something extra unless they really want you to have it. I know of a pet sitter who always received gargantuan tips from one particular client. They were A LOT! She felt weird accepting them because they were so large. But, don't feel bad about accepting something that you may feel is "too much" because it's obviously not too much to your client. Their gift shows just how much they value your excellent service. As I said above, "accept and acknowledge." The "acknowledge" part is super important. You definitely want your client to know that you received their tip/gift and appreciate it. Often times they're going to leave any tips/gifts at the house so you'll see it when you arrive. If that's the case, make sure to leave a note saying that you've received it and appreciate it. This is a key opportunity to also add something about how much you like them and value them as a client. 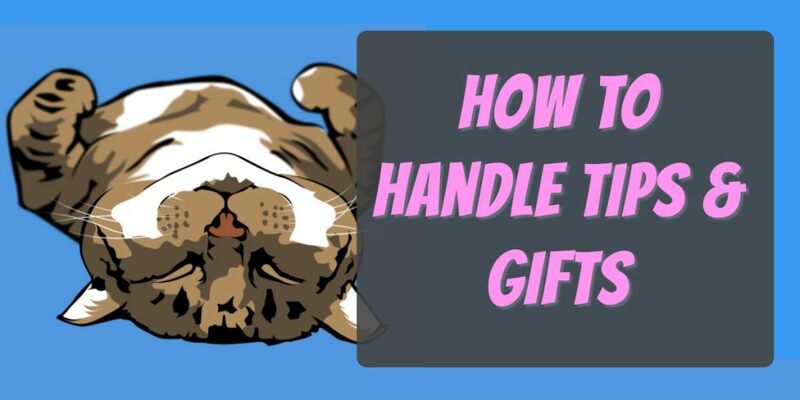 If you're a dog walker or pet sitter with staff, then the whole thing with tips and gifts gets a little more complicated. With multiple staff, there's the issues of who keeps what and how much. Who Gets What? Typically in my business, we try to keep one staff member as the only walker/sitter for a client and their set of visits. But, we all know that this is not possible 100% of the time, especially during the holidays when your staff members' schedules are so out of whack. So, if you have 2 or more staff making visits to a particular client who likes to leave tips or gifts, how do you divide things up? It's going to get too crazy to try and divide a tip up by the exact proportions each staff member handled. You definitely want to be fair, but if one person filled in for one visit and another person did nine visits, the person who did the nine gets 100% of the tip. If a client leaves you a gift card of some sort, there's not much you can do to split that up. I'd say that the primary walker/sitter gets to keep that. How Much Does The Business Owner Keep? In my business, my staff keeps 100% of the tips and gifts that are left for them if they are making the visits. Especially during the holidays when my staff is giving up precious time to be working, I'm fine with them keeping it all. I do know of some business owners who keep up to 50% of any tips that are left for staff members. I don't know of any pet business owners who keep 100% of tips unless, of course, they are solo operators and making all the visits themselves. Acknowledge. Like with being a solo operator, you always want to acknowledge any tips or gifts that are left for your staff. We require all our staff to report anything that was left by a client. We do this so we can keep track of gratuities and, most importantly, so we know who to write a note to or who make a phone call to so we can thank them for their generosity. All your clients secretly want to know that their gift is appreciated, so make sure your staff tells you who left a tip or gift and how much or what it was. John, I’m grateful for your information on how to set prices. I’m looking into this business as a retired guy with time on his hands. I would not consider getting bigger then what I can handle. Again, thank you!